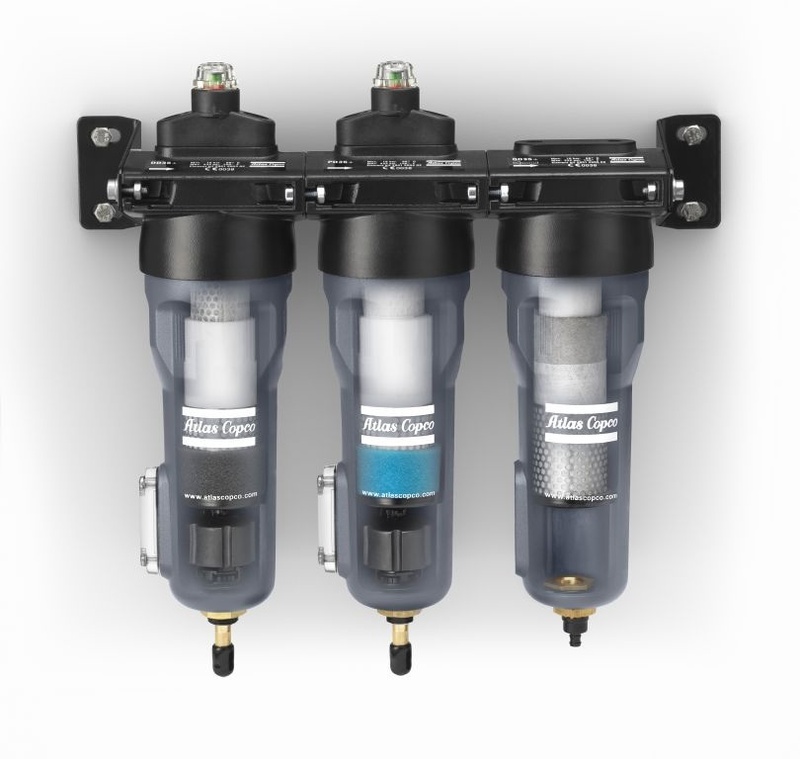 Atlas Copco’s DD+, DDp+, PD+, PDp+ and QD+ Standard & High Pressure Filters efficiently reduce all types of contamination in your compressed air stream to protect your investment, equipment and processes. Our innovative filtration solutions are engineered to cost effectively provide the best quality air and meet today’s increasing quality demands. Reduced Energy Costs – Designed for maximum contaminant removal, Atlas Copco’s filter range offers significant energy savings thanks to their optimal air flow path with low resistance. The filters’ carefully engineered housing and cartridge ensure minimal pressure drops.